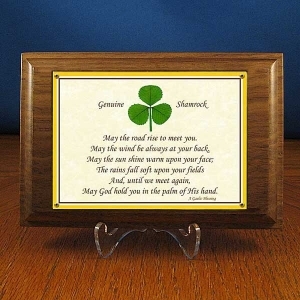 A real genuine Shamrock displayed under an acrylic lens on a SOLID WALNUT plaque, with Irish Blessing imprint. Comes with an acrylic easel or can be wall mounted. 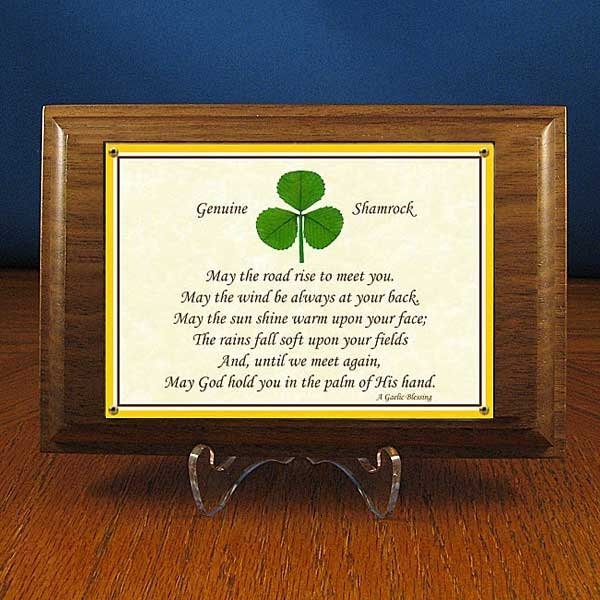 Gift boxed with Shamrock fact sheet. Size: 6" X 4".